What else does Jordan Brand have in store for us in regards to the Air Jordan 1? The classic 1985 debut model from Michael Jordan and Nike has seen its fair share of overhauls over the past few years and the Jumpman recently went back to the basics with their latest Premium Essentials offering. 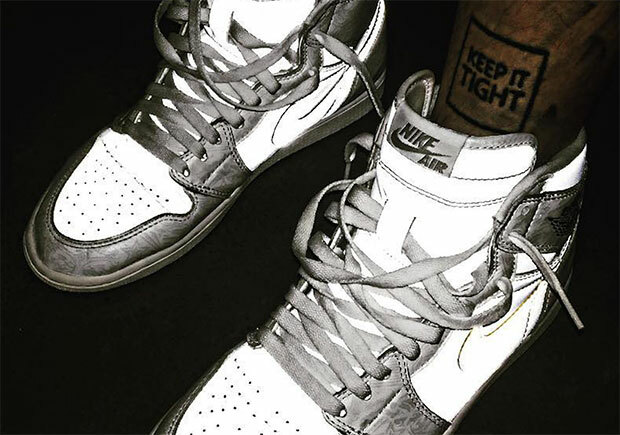 It looks like more experimentation could be on the way as a Jordan Brand employee took to Instagram to stunt in his Air Jordan 1 Reflective sample pair featuring an all-3M reflective upper. We don’t know too much about this pair, but our guess is that the base layer is Anthracite or Black and comes with that flashy material on every panel. If you look close enough you can make out a pattern reminiscent of the visual storytelling on the Air Jordan 20. We’d love to see a retail release, but nothing has been confirmed yet. Stay tuned.